This 14k Gold Handmade Two Tone His and Hers Wedding Bands Set is 7mm wide and approximately 2mm thick. The bands are rounded on the inside, creating a comfort fit for constant wear that will not pinch and still slide easily on and off of the finger. 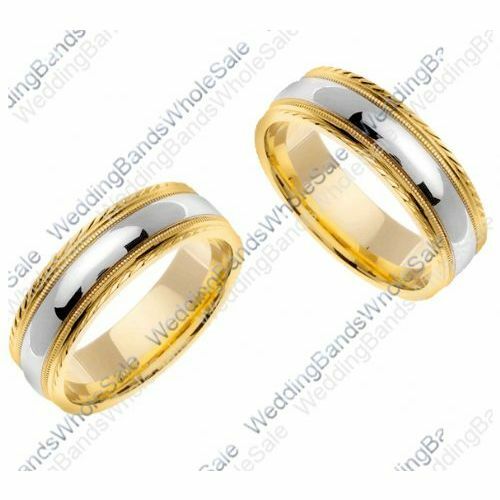 These beautiful hand made designer wedding bands feature a dome shaped, shiny centerpiece in white gold, with milgrain on each side and rope design milgrain edges, in yellow gold.